Welcome to the Holiday Village Apartments web site. 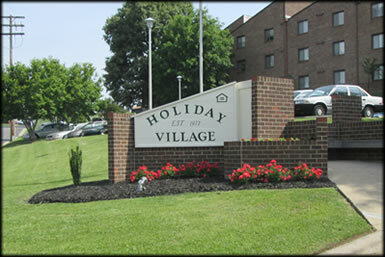 Holiday Village Apartments is located in Danville, Viginia off Riverside Drive. Our mission is to provide housing for elderly persons that are at least 62 years old; disabled or handicapped with incomes that meet the FY income limits of low, very low, or extremely low income. Holiday Village Apartments is a 133 unit apartment complex located in the city of Danville, Virginia off of Riverside Drive on Courtland Street. These apartments were designed especially for you and we trust you will find you made the right choice if you select Holiday Village Apartments as your home. On this site is information that will help in answering any questions you may have concerning residence at Holiday Village Apartments including Income Limits, Floor Plans, Rent Rates, Testimonials, and much more.